Above: Horiani, 1963. L-R: Sophia and Efstratios Georgalas, myself, Filio (little girl), and, Loukia and Efstratios Lazarou. 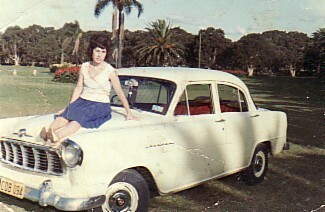 Above Right: Sydney, 1963. 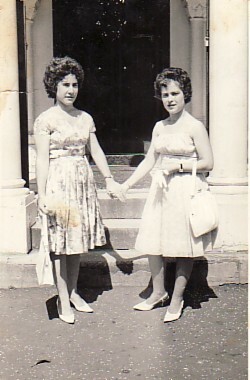 With Giannoula Lazarou (right). 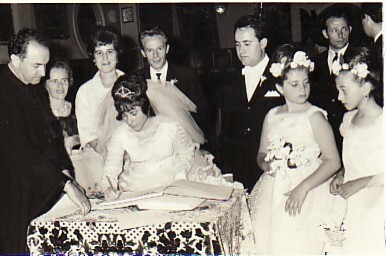 Above: On my wedding day at the Holy Trinity Church, Sydney- with my husband, Nikolaos Zafiriou. 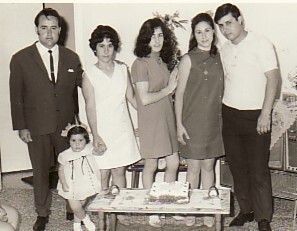 Above Right: Family and horianos. 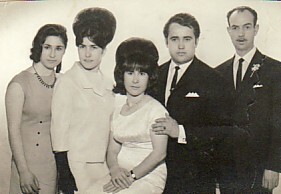 L-R: my sisters, Vasiliki and Sophia; myself; my husband, Nikolaos; and Argyris Xafellis. Above: At Centennian Park, Sydney. Above Right: Family. 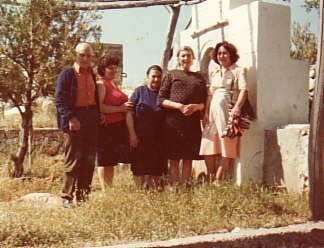 L-R: my husband, Nikolaos, our daughter, Vasiliki, and me; my sister, Sophia; and my sister, Vasiliki and her husband Efstratios. Above: At my son, Dimitrios' baptism. 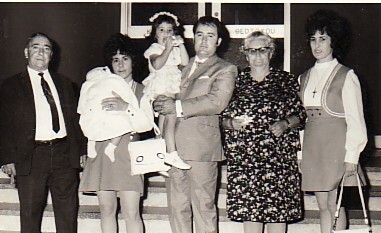 L-R: my fahter-in-law, Dimitrios; myself-holding our son, Dimitrios; my husband, Nikolaos-holding our daughter, Vasiliki; my mother-in-law, Vasiliki; and my sister, Sophia. Above Right: Visiting Grece. 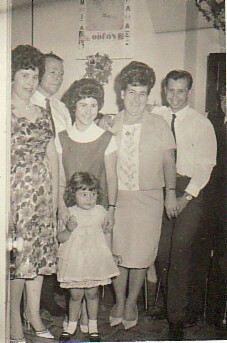 L-R: my father, Dimitrios; Efstratia; my mother, Panagiota; unknown; and me.